From Monday 11th to Friday 15th June 2018, Whale held a 'Healthy Eating Week' for all staff. 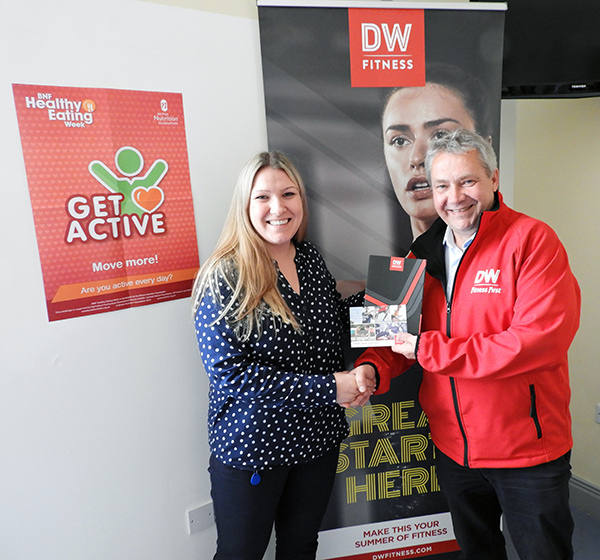 On Monday 11th June, DW Sports visited us to help our employees become more active every day! 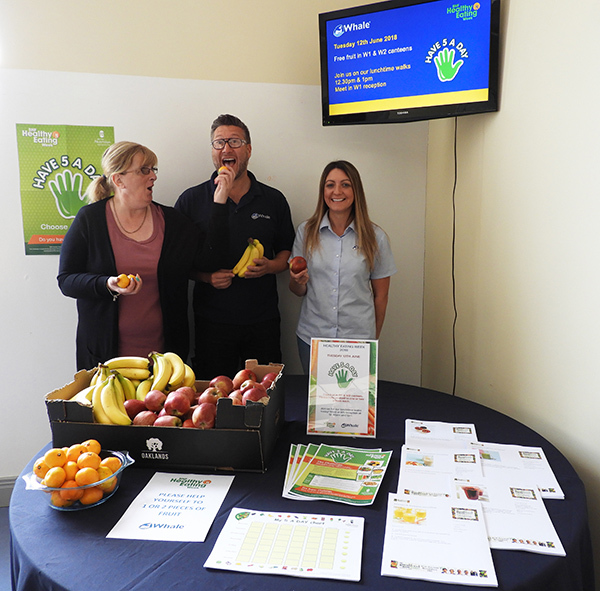 We gave away free apples, bananas and oranges to employees on Tuesday 12th June to encourage them to eat 5 a day! 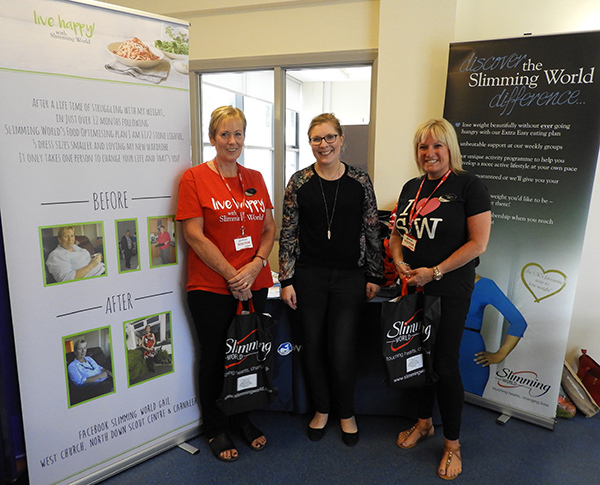 Slimming World visited both factories on Wednesday 13th June to help employees make a positive change to their eating habits. 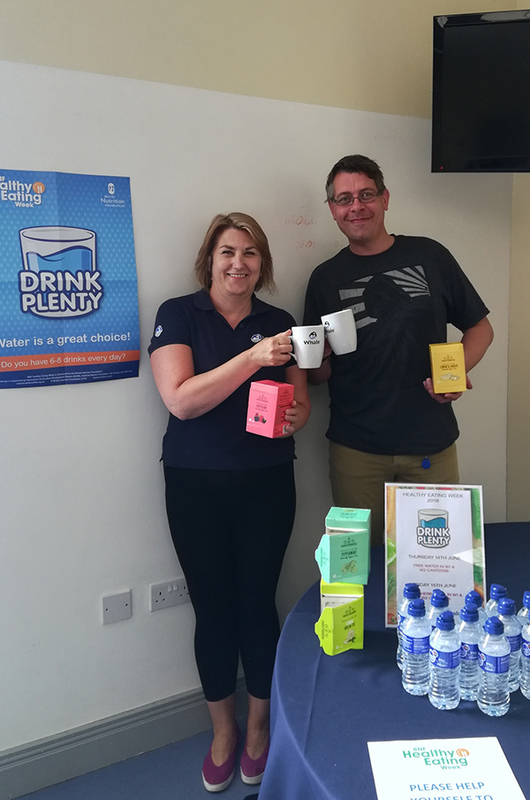 Thursday and Friday were all about drinking plenty with free water and herbal tea for all!